On the Chinese side of the border, a four-story shopping mall offers Kazakhstani shoppers a stunning variety of duty-free goods—from iPhones to auto parts and children's clothes. Visitors can stay in a well-appointed hotel and enjoy solicitous service at a number of Chinese banks. It's a far different story on the Kazakhstani side of the free-trade zone, which both countries hail as indicative of burgeoning cooperation: Chinese tourists can buy some candy inside a metal shipping container. And that's about it. The 528-hectare Khorgos International Center for Boundary Cooperation (ICBC) officially opened on a windswept patch of the Chinese-Kazakh border in December 2011. It was designed as a visa-free zone where citizens of the two countries could trade and enjoy local entertainment. But apart from some giant Kazakhstani customs facilities, and many miles of fencing, it appears that Beijing took the project a lot more seriously than Astana. "The Chinese are ahead of us because their government has closer ties to their businesses, " said Khorgos ICBC Vice President Sakengali Nurtazin. Kazakhstani officials admit the original scheme, which included plans for 20 hotels, was not carefully considered. "Maybe the study was not conducted correctly. We have come to the conclusion we don't need so many hotels, " said Nurtazin. Nurtazin describes modified plans including casinos, outlet shops, a spa, a "Disneyland-style" theme park and a university specializing in languages. For all this he hopes to attract $2 billion in private financing. Astana has spent $300 million so far, he said, adding that China is spending $4 billion on its side. Part of the problem for the Kazakhstani side may be its remote location. On the Chinese side of the border sits a city of about 100, 000 inhabitants; a larger city, Yining, is only a one-hour drive away. By contrast, the Kazakhstani sector is surrounded by desolate scrubland. 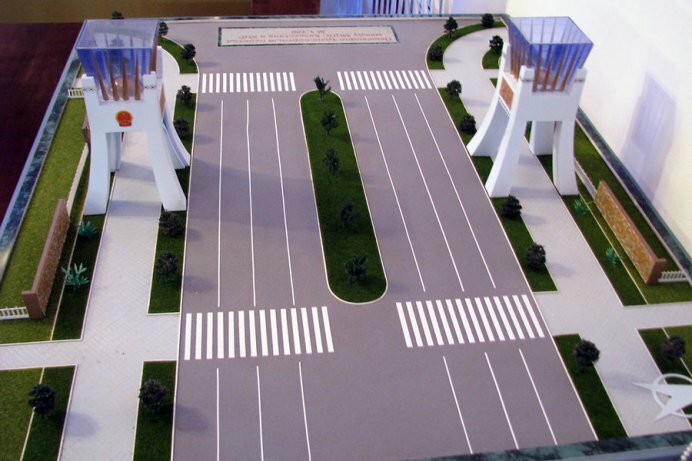 Almaty is a bumpy five-hour drive, though officials promise a new road.